After going back-and-forth on a decision for a long time, it’s only natural that you would begin to feel a bit hopeless about reaching a firm conclusion. You may begin to wonder if it’s better to just accept defeat, and determine there is no way to manage the complexity of this decision. Fortunately, there are ways to overcome the uncertainty you feel. There is a process for breaking down all the complex variables, all the unknowns, and all the factors that matter to you. And you can use that systematic process to dramatically improve your decisions. But before you get to that deeper analysis, you might want to try something much simpler. You see, in this article I’m going to share three decision-making tools. And each one has been known to clear the haze, allowing you to get to the root of the issue more quickly. When making decisions, most people immediately begin to outline their options. This is a mistake. Here’s what you should be doing instead. You should start by getting clear about the outcomes that matter to you most. In other words, you need to invest more time up front figuring out which factors will ultimately matter most to your future happiness. You should only begin looking at options after you have thoroughly analyzed the factors that will matter most to your emotional well-being and goals. In other words, start by getting clear about what you really really want. “Factor weighting” is the tool you should use to gain clarity about the outcomes that matter most. List all of the factors you care about. Give each one a number to represent how much it matters to you. It’s a method for capturing all aspects of a decision that matter to you without losing track of the fact that some of them matter a lot more than others. For example, here’s a breakdown regarding one of my client’s decisions. She was trying to decide whether or not to quit her job to start a new business. Each factor is given a “weight” to represent how much it should tip the scale. As you can see, there were six factors she was considering, but they were not all equal when it came to how much they ultimately mattered to her. Because the human mind can only hold so many thoughts in working memory at any given moment, using a factor weighting tool allows you to capture your best insights one step at a time so you don’t lose them in the process of analysis. Once you have given weights to the factors relevant to your decision, you’ll find it easier to measure the various options you’re considering. It will be easier to see how your options do on each of the criterion you have established. I recommend you use a software application for this part. Here’s an example to show you how it helps. Make sure the factors you care about most have a very high score relative to all the smaller considerations that only matter a tiny bit. Here’s why. Lots of small factors, even with fairly low ratings, can add up to shift your decision toward an option that does not reflect the things you care about most. So my word of caution to you is to avoid adding too many factors. Keep your list of factors relatively small to avoid diluting the ones that really have the power to impact your future happiness. Or use a bigger scale (e.g. 1-100 instead of 1-10) so you can rate those less significant factors much lower than your most significant factors. Very often, my clients find that once they see their own weighting score for the top three factors that matter most, the decision becomes less foggy. It’s easier to see which options to focus on. And sometimes, this process reveals one factor to be so important that we decide to spend more time thinking outside the box to generate even more options for maximizing that one factor. Now let’s turn our attention to the factors you can’t predict. Factors that could work for you or against you depending on how they unfold in the future. Once you know what really matters, you’ll still have several options in front of you. 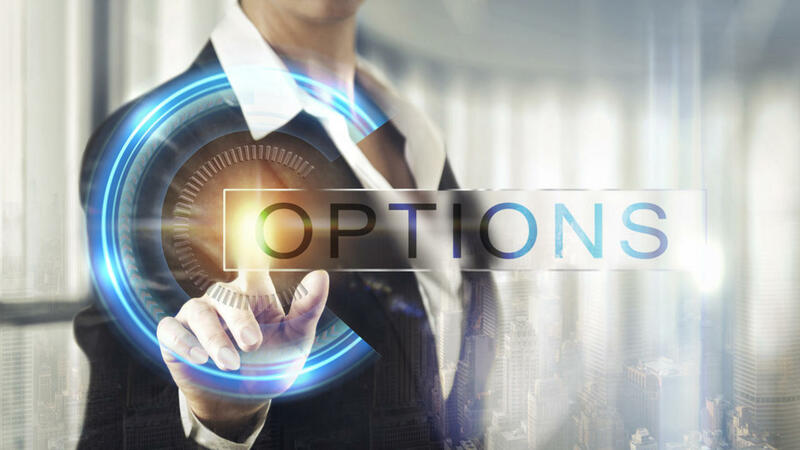 And often, the problem is that there are variables that could make or break the success of any decision option depending on how such variables unfold in the future. For example, my client wanted to quit her job and start a business, but not if it turns out her business idea is a flop that never makes any money. How do you deal with variables that are unknown at the point when you must make your decision? You can’t skip ahead to see if those variables play out in favor of the factors that matter most to you. This is where a “Plan B” comes into play. One of the best ways to get unstuck with a decision is to consider what parts of your decision are reversible. By analyzing the things that are reversible in your decision-making process, you can see opportunities to reduce the risk of making a decision that goes against your long-term happiness. Now, I understand this is starting to sound complicated. But stick with me so I can show you an example that will make it all crystal-clear. Let’s say there’s only 40% chance that one variable will turn out in your favor if you take a certain decision path. Under those circumstances there’s a good chance you already ruled out that option very early in your decision-making process. If there is some aspect of that decision variable that is reversible, it could dramatically change how that factor plays into your decision-making process. My business decides to invest in some expensive equipment in order to open up a new product line. The equipment costs $600,000, and there’s a chance my customers will not respond favorably to the new product line, leaving me $600,000 in the hole. It’s a painful decision for an executive to make, because I can’t see the future despite my best efforts to test the new product idea with a minimum viable product and good market research. In the end, I feel like my only options are to either risk the $600,000 or not. But let’s take a closer look. It turns out that if the machine is well-maintained, it could be resold to recoup about 85% of the initial purchase price. So the decision is not fully reversible, but it is reversible enough to get rid of most of the downside if this decision ends up working against my company. With this new insight, I realize I am free to push forward in a direction my gut was telling me would be most profitable for the company, while still retaining the peace of mind that comes from having a solid “plan B” ready in case it’s needed. This is the kind of clarity you only get when you take the time to consider worst-case scenarios, and whether or not there are any Plan B responses that could reverse some of the downside risk. Now that we’ve looked at factor weightings and managing unknown variables, let’s move on to a third method for seeing a decision more clearly. It’s called a premortem. You’ve probably watched enough crime shows to know what a postmortem autopsy is. That’s when a physician examines a body to determine the cause of death. A premortem is similar to a postmortem, but it focuses on predicting the most likely cause of failure in advance. It’s a proactive step that forces your mind to create a story to explain how a project will fail. A premortem analysis starts with the assumption that a project will fail. This overcomes the natural tendency we have to gloss over statistically unlikely threats to an option we like. The point is not to decrease your confidence. It’s actually quite the opposite. In my experience, people feel more confident about an option after doing a premortem analysis. Because it reveals vulnerabilities you can address proactively, allowing you to minimize those threats. This increases your confidence in moving forward with a given plan. Here’s how it relates to your decision-making process. You make the assumption that the decision you are leaning toward will end up failing dramatically. The goal you are going after is not achieved. Now your job is to tell me the story of how things went wrong. In the process of generating this premortem narrative, your creative mind will go to work. You begin to use one of the most powerful aspects of the human mind: its capacity to process high volumes of complex data when thinking in story form. You see, the human mind is wired for story. It’s how we passed information to each other for many centuries before writing was invented. And scientific research has proven that you can absorb far more information when it’s delivered in story form. That’s why I want you to use a premortem even though you believe you have all the risk factors in mind already. You’ll tell me how things unfolded, trying to be as realistic as possible as you move toward an explanation that captures the most likely causes that ultimately led to the project failure or a decision you regret. Now, keep in mind, this is not an exercise to make you feel anxious or depressed. In fact, it’s quite the opposite. Most of the time, this process will allow you to see weaknesses and make contingency plans for them, which will actually strengthen your optimism and resolve with any given decision direction you ultimately choose to take. On occasion, this exercise does reveal dangerous pitfalls that you had not previously considered. And there are times when an option that at first seemed like the best one is suddenly off the table entirely due to the insights gained through a premortem exercise. But most of the time, I find that this exercise merely reveals weaknesses for a given option. And those weaknesses can be ameliorated with careful planning. Remember, above all else the human mind gathers its power from the ability to simulate the future and do things now to prepare for events that are yet to come. Get very clear about what you want. Decision making should not start with analyzing your options. It should start with analysis of the factors or outcomes that matter to you most. Use factor weighting. Tame the unknowns. Choose a Plan B for the factors that could go against you. Do a premortem analysis for any option you are seriously considering. 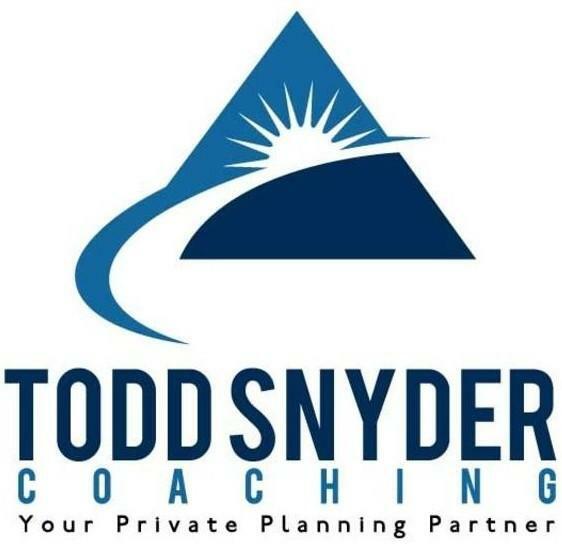 If you’d like a private planning partner to help you sort through your options, I’d be happy to help! Schedule a complimentary strategy session here.